Your whole family will love this Southwestern White Bean Chili! It is a quick and easy recipe that works for a weeknight meal or for Sunday dinner. Heat the olive oil in a large soup pot. Add the diced red onion, minced garlic, and diced jalapeño, and saute over medium heat for 2-3 minutes. Add the chili powder and oregano, and stir well. Stir in the ground beef and cook over high heat for about 5 minutes, stirring frequently. Add the diced tomatoes and water, and bring to a boil. Add the diced bell pepper, beans, and corn; and bring to a boil. Lower the heat and simmer for 15-20 minutes, or until the chili has thickened to your liking. Add salt to taste. Remove from heat and stir in the chopped cilantro leaves. 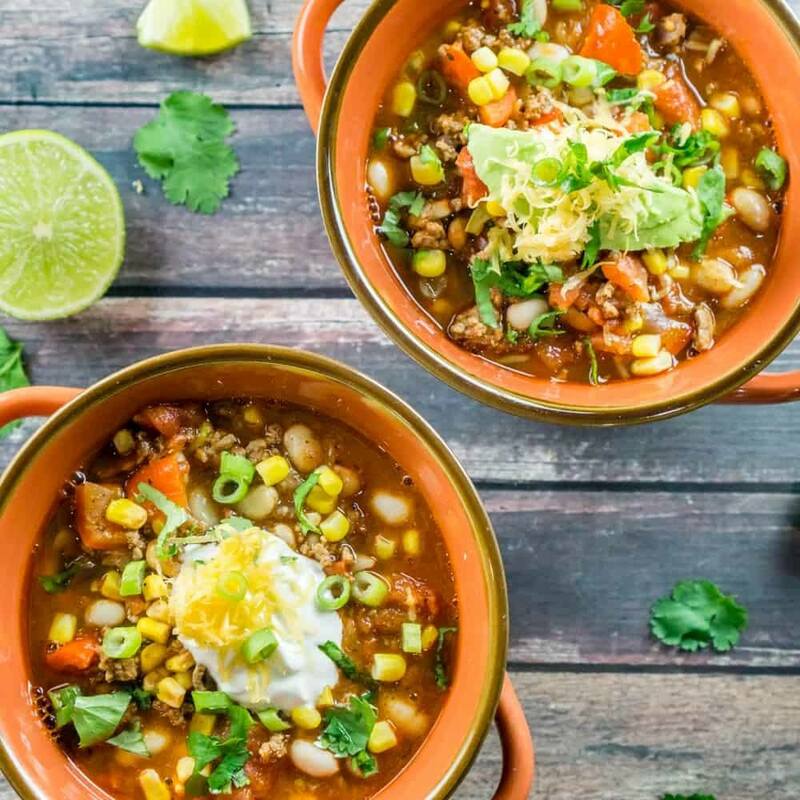 Ladle into bowls, and top with your favorite chili garnishes.